ePortfolio has been developed to allow for this ‘offer of tutorial contact’ to occur from the system. These changes are outlined below. On the tutee information pages, you now have the option to Record Meeting / Offer Meeting. This will take you through to a very similar form to the one previously existing in the system. The change will depend on the date you choose. If our have already had the meeting and are recording this, you can now set the status of the meeting from the initial setup form (took place in person, at a distance, or did not take place at all). By choosing a date in the future, you are making an offer of a meeting to the student. They will receive an email outlining the date, time, venue, etc, that will also include the option to decline the meeting. If they do not decline, they are automatically assumed to have accepted. 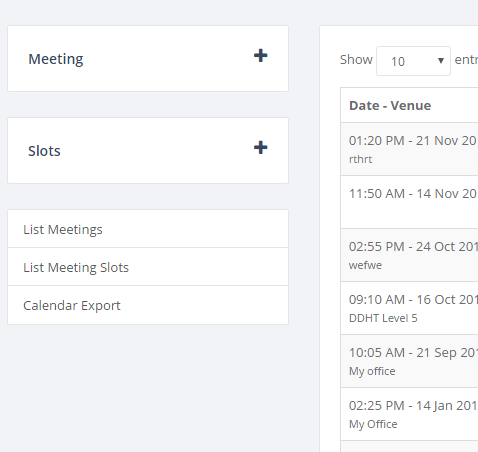 One of the best ways to ensure you are meeting your requirement of the ‘offering of meeting’ is to use meeting slots. Meeting slots are the online equivalent of the sign-up sheet tutors use that specify when the tutor is free. Find out more about meeting slots here. There is a series of webinars and workshops to support you with your use of ePortfolio. Find out more about these here. Users of the ePortfolio system can now download various parts of their ePortfolio as a pdf, or as an editable document. You can download a tag filtered blog. 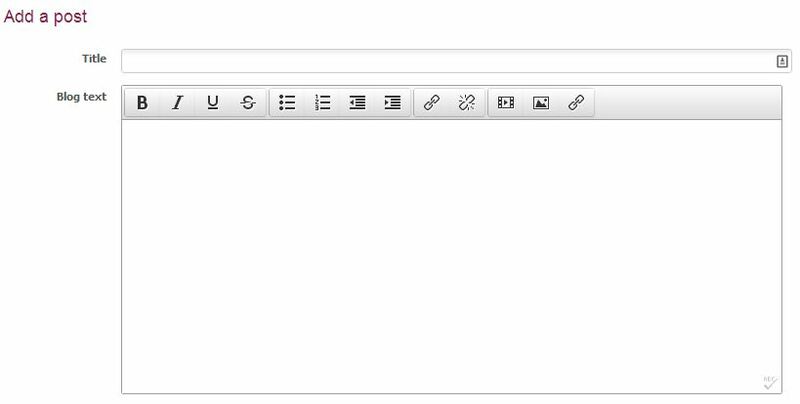 For example, if I have 100 blog posts, and 30 of them are tagged with “Assignment”, I can choose that option from my tag cloud, and this will filter my blog to show only the posts that I have tagged with “Assignment”. Clicking the download link at this point will download those particular posts as either a .pdf or an editable rich text format document. We are always trying to improve the help and support available to users of the ePortfolio. Contextual help is the help pages that are available while completing a task in ePortfolio. For example, when you are adding a blog post, as well as the normal help pages, there is a link labelled “Help on Blog”. This will pop up a help box describing the blog, without leaving the page you were working on. 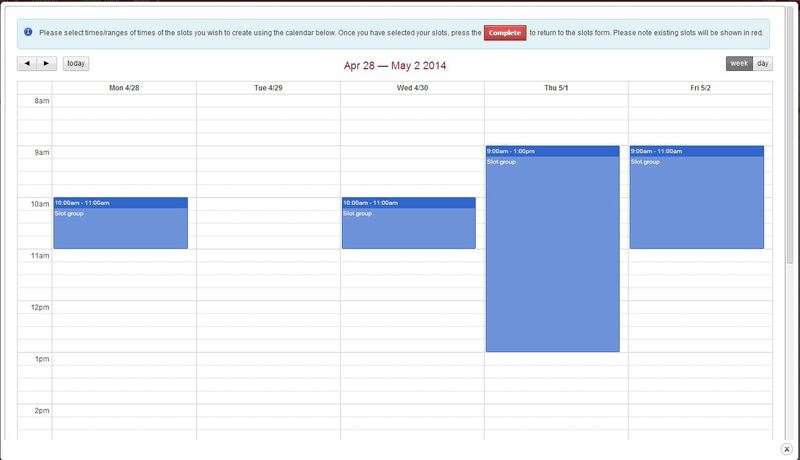 Tutors are now able to view the students timetable within ePortfolio system. This will help tutors to arrange tutorial meetings at a convenient time to their tutees. As part of the Newcastle offer, Undergraduate students should have access to a personal tutor. The senior tutor view will allow Schools to ensure that personal tutoring is taking place in a consistent manner with all students. This will provide School administrators with a tool to gain an overview of the Supervisory meetings taking place. There will be another new feature release in April. More news about that to follow on this blog. We have made enhancements to the ePortfolio and PGR eProgression sites to make it easier to use content from your portfolio as part of your Annual Progression. These changes were introduced in response to recent feedback suggesting postgraduate students were finding it harder to link evidence from their portfolio (self-assessments & PDP, CV, previously uploaded files etc) since the major update of ePortfolio for 2012/13. There was a short period this morning when the evidence section of eProgression was not available to students. See announcement and also the updated instructions. Thanks to the IT Service Desk team and Graduate Schools for their cooperation. Students include a range of evidence submitted to their Progression Panels each year. The type of evidence varies according to school, stage and other factors. Typically it may include draft chapters, project plans and portfolio records of workshops attended. The portfolio includes a self assessment built around the Research Development Framework, which can be included as evidence of engagement with self development.